I saw District 9 by Neill Blomkamp yesterday, and I still can’t get the last frame out of my head.Â That such an image could matter to me, that I would care at all, much less have it haunt me, is a testament to what science fiction can do.Â There’s tons of pointless techno second guessing surrounding this film in the reviews I’ve readâ€”how does the pooba work huh?Â And why don’t they explain …Â Thank you, Neill Blomkamp, for not explaining all the time.Â SF doesn’t need any more di-lithium crystals.Â There are the usual round of reviews saying it’s good and hence not really science fiction.Â I can’t help those people.Â One reviewer didn’t seem to think Blomkamp was aware this isn’t a happy ending.Â Noâ€”I think he got that part.Â And I’m still getting it.Â I loved this film. 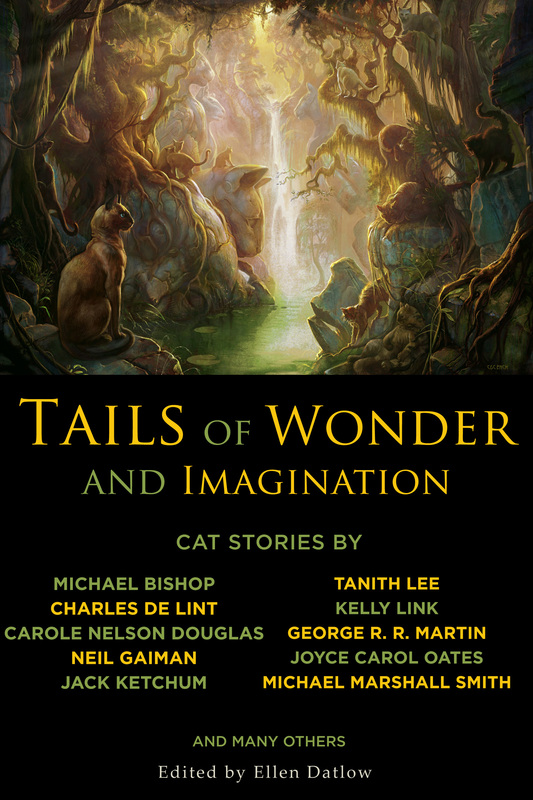 Check this out.Â The cover for the Datlow cat anthology.Â I’m one of the Many Others. I’ve been having computer problems, a dead hard drive, so I haven’t been posting.Â I can’t watch the health care “debate.”Â So much concentrated ignorance overloads my despair circuits.Â The current system works fine folks say.Â Take my case:Â Because I was diagnosed with cancer last year, Sarah and I married, and I got on her health insurance, so that when I had a heart attack, I was insured and was able to survive and not be bankrupt afterwards.Â Without last year’s cancer and Sarah’s state job, I’d be toast today.Â Now who says that isn’t good healthcare? I’ve been doing a lot of reading lately, including a science fiction short story writer of some renown.Â I had to stop reading the collection, however, because of the ill-advised afterwords appended to each story.Â Each one was a “poor me” whine reminding the reader of his unappreciated genius, following with a bit of crowing about how brilliant the story was.Â I found them okay, but he’s pretty much a one-trick pony far as I can tell, and the whining just got on my nerves.Â The marketplace has been hard on us all, buddy. 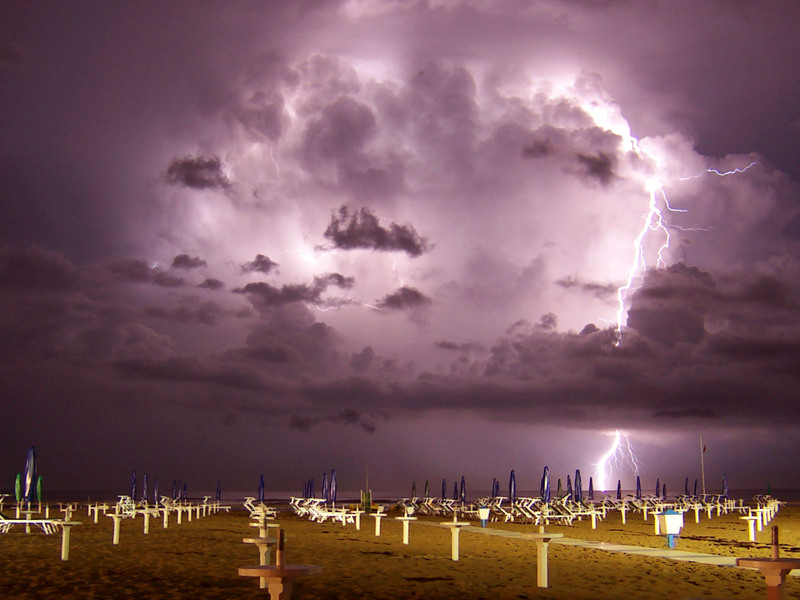 Photographs of lightning, actually.Â One of my characters is a photographer.Â Isn’t this a beauty? While working on a short story this morning, I thought of “Dover Beach” by Matthew Arnold.Â It’s one of those poems that found its way into my personal anthology many years ago and has stayed there ever since.Â I love many things about it.Â This morning it’s the sounds.Â Enjoy.